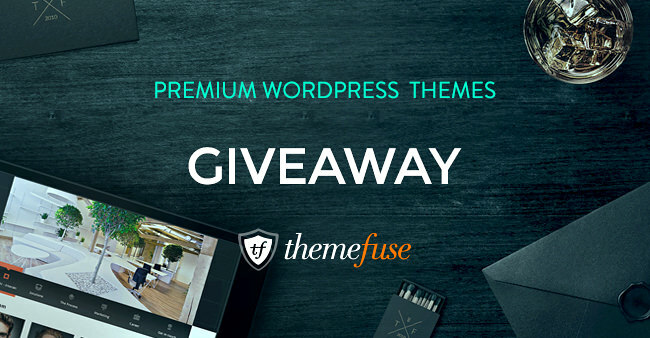 You Can Win a Premium WordPress Theme from ThemeFuse! You may have already heard about ThemeFuse. They are one of the best in the business in regards to premium WordPress themes. They are offering three WordPress themes for the three readers here who are lucky enough to win. Anyone using WordPress for a blog or website will find that the quality and the style of the ThemeFuse themes are out of this world. The three winners will get a chance to choose from any of the ThemeFuse themes available, which could be a real boost for their site. Add a comment on this post and let us know how you plan to use the theme (5 points). Tweet this post via our tweet buttons at top or bottom of this post (1 point per day). And, of course, click the “Like” button at ThemeFuse Facebook page (3 points). Then, submit your entry in the RaffleCopter widget below. On February 21st, 2015, we’ll let you know who the winners are, so keep watch right here on Web Design Fact! Check out these examples of WordPress templates from ThemeFuse. Those in need of a hotel style WordPress theme will love this option. It also offers two other styles – ski resort and spa. Here is a beautiful and simple wedding WordPress theme for those planning to get married. Here is one of the best medical WordPress theme available for doctor’s, clinics, dentists, and more. This WordPress theme is a wonderful option for churches, charities or prayer groups, and more. This modern web theme is ideal for agencies, as well as corporate and business firms. It can even work well for creative studios. Your only stop if you need a modern restaurant WordPress theme that has all the bells and whistles to push your business forward. You need a great theme no matter what type of site you might be building. The best way to have the perfect WordPress theme is by looking through the offerings from ThemeFuse. The sites look great, they are functional, and they have the best coding. It is easy to be a part of the giveaway. Just use the RaffleCopter widget, so you have a chance to win the theme of your choice! If I win, I will either use a theme to update my own site or grab a food theme to give to my mother-in-law for her bakery business. I would upgrade my wordpress account so that I could reach a larger audience and access all that wordpress has to offer. My heart is to create a place where people of modest means can encourage each other and find a way to make it through. I would love to be able to win a premium theme. As a winner, I will upgrade my account and blogging website. My goal is to generate and build my readership for my new site. Thanks for the opportunity to enter! I would love to use a premium theme on my teacher blog. I would like to win so I could have a great looking premium theme to use on my giveaway blog site. If I win I will be using this to set up my new business. Just getting started! Hello! It’s very nice giveaway. I hope that this GA will be won by really deserved person who definitely need this theme. I would love to win this theme because I am a freelance writer and having a easily navigated and good looking website or blog would help me get the word out there about my business. “The cobbler’s children have no shoes…” And this freelance writer of 7 books and hundreds of articles and dozens of web pages doesn’t have a website. I’m ready to fulfill my New Year’s resolution! I will use it to build my blog! I plan to use the theme to start my blog! I am getting ready to start my own blog, so this would be very helpful! Would be a cool way to announce new grandchild. I am now going to select and contact the winners, and will keep everyone posted here.